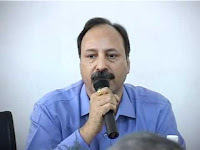 Veteran supercop Julio Ribeiro, a known expert on terrorism, in a signed article on June 27, 2015, had warned that "going slow on ‘Hindu terror’ is dangerous", adding, "It’s also an insult to the memory of Hemant Karkare". Ribeiro said this even as recalling his meeting with Karkare one day before the latter was killed by terrorists in 2008 fighting in Mumbai. Ribeiro said, Karkare "was disturbed by the reactions of some BJP leaders, particularly LK Advani, to the turn his investigations had taken in the 2008 Malegaon blast case." Ribeiro, who describes the martyr "an outstanding IPS officer of impeccable integrity as well as high intelligence and abilities", says that the Anti-Terrorism Squad (ATS), which Karkare headed at that time, had "initially suspected jihadi fanatics." Ribeiro said, "Such thoughts would come naturally to any policeman those days as Muslim groupings like Simi had been responsible for several terrorist acts across the country." He added, "But the ATS had suddenly, unexpectedly and, I must add, fortuitously come across incontrovertible evidence, which included taped conversations, to prove that the Malegaon blasts, as well as the Ajmer, Hyderabad and Samjhauta Express blasts that killed nearly a hundred people, were conceived, planned and executed by a group of fanatical Hindus bent on revenge." Calling Karkare as one officer who was guided by the "lofty ideal" that politics, religion, caste, community have "no role to play in the pursuit of truth and justice", Ribeiro said, "I went through some of the evidence he had gathered. I was staggered." "I could understand the anger that prompted the perpetrators to embark on their misconceived journey. But a police officer has to do his duty, which is to stick to the truth and the letter of the law. I advised Karkare to abide by his 'dharma'," Ribeiro recalled. "Unfortunately, Ajmal Kasab and his brainwashed companions snuffed out the life of a good man. Karkare was not around to pursue the case but his successors carried on the investigations and filed the charge sheet against the real culprits in court", Ribeiro said. 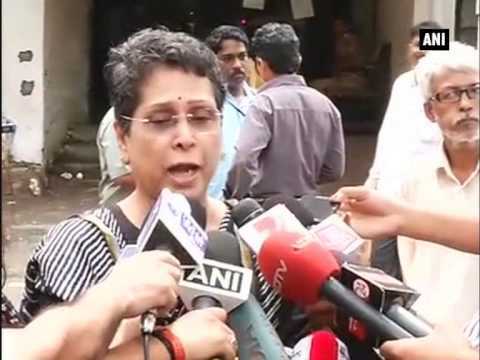 The article, written in the wake of the fears of public prosecutor Rohini Salian, who stated that NIA may renegade on the persecution of the Hindutva terrorists, Ribeiro had commented: "Salian is a legend in the world of public prosecutors. Every policeman knows her name. So do the lawyers and judges of the city of Mumbai. She is single-minded in her commitment to her duties and, above all, everyone knows that she cannot be bought." "Salian’s lament on being asked to go soft on Hindu extremists accused of terrorist acts frightens us to believe that the country is steadily being led on to the path trodden by our surly neighbour on our western border. The masterminds of the 26/11 attacks are treated like heroes in Pakistan", said Ribeiro. Recalling what Ribeiro had said way last year, Shamsul Islam writes in a media site run by well-known social activist, Teesta Setalvad, "The latest turn around by the National Investigation Agency (NIA) in the cases of bomb blasts in Malegaon, allegedly conducted by some of the Hindutva cadres makes it very clear that, these Hindutva-inspired terrorists are going to be gradually given a reprieve, in a carefully scripted move orchestrated by the current political dispensation in Delhi." "It was not unexpected that this would happen once the Modi government assumed power in May 2014. The chief prosecutor Rohini Salian in the Malegaon case (investigated first by the Anti-Terrorism Squad (ATS, then the CBI and finally the NIA) case had warned that this was coming in the first half of 2015 itself", Islam says. However, Islam says, quoting media reports of 2011, even RSS chief Mohan Bhagwat knew that there were individuals and groups within the Hindutva fold who wanted to adopt a violent path. "The chief of the RSS Mohan Bhagwat had publicly confessed while addressing a meeting of the RSS at Surat (Gujarat) on January 10, 2011 that 'of the majority of the people whom the government has accused (in various blast cases), a few had left voluntarily and a few were told by the Sangh that this extremism will not work here so you go away'," Islam says. "Mohan Bhagwat had, thus quite candidly disclosed then, that ,of the 'majority of the people' who were accused and who were from the RSS a 'few had left voluntarily' and others were told by the RSS to 'go away'. Bhagwat should have been called for investigation(s) by the agencies to share the names of these persons allegedly accused of perpetrating acts of terror", Islam insists. "It appears that this was never done. Since, according to the oral and written assurances given by the NIA, the search for the 'real perpetrators' is still on, Bhagwat should be asked under oath to disclose the list of those who had left and who were asked to go away. In fact, Bhagwat should be made a party to the case as a crucial witness", Islam demands.